These days, you can’t go anywhere without hearing about gluten. Gluten-free diets, tons of gluten-free foods, a myriad of cookbooks filled with recipes without gluten…millions of people are doing their darnedest to avoid it. And while going gluten-free is imperative for everyone with celiac disease, an autoimmune disorder triggered by even minute amounts of gluten, some proponents claim that everyone should avoid gluten altogether. Critics on the other hand denounce the gluten-free craze as just another passing fad. 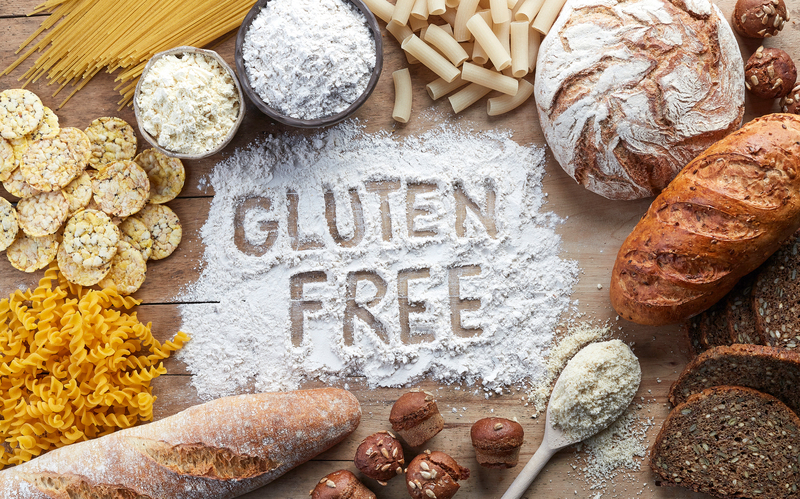 When individuals with celiac disease eat gluten, their immune systems go into overdrive, producing autoantibodies that attack their own tissues. The primary target is the villi, which line the small intestines and are essential for the absorption of nutrients. Gluten causes inflammation and erosion of the villi, which prevents proper absorption of vitamins, minerals, and other nutrients and leads to a host of health problems. Bloating, pain, diarrhea, and other stomach problems are the most common symptoms of untreated celiac, and nutritional deficiencies may result in weight loss, anemia, osteoporosis, stunted growth in children, and fertility/pregnancy problems. Celiac disease is also linked with intestinal cancer and other autoimmune diseases. Strict avoidance of gluten allows the gut to heal and symptoms to improve, but patients must be ever vigilant, as any amount of gluten sets off this damaging autoimmune reaction. At the other end of the spectrum are people who have no issues with bread, pasta, and other gluten-rich foods. Then there are those who haven’t been diagnosed with celiac but experience unpleasant symptoms when they eat wheat and other grains—and feel much better when they avoid them. It’s possible that they have undiagnosed celiac. After all, most of the estimated 1-2 percent of the population afflicted with this disease have not been diagnosed. It could also be a wheat allergy. Wheat is one of the more common food allergies, and dozens of potential allergens have been identified in this grain. There is also increasing recognition of non-celiac gluten intolerance or sensitivity. Common symptoms, which appear after eating gluten-containing foods, include bloating, pain, and irregular bowel movements. Fatigue, brain fog, headaches, joint achiness, congestion, and skin problems are also often reported. To be clear, this is not a gluten allergy, nor is there autoimmune destruction of the villi. In fact, gluten may not be the only trigger. Other proteins in wheat, such as amylase trypsin inhibitors, can also provoke symptoms, and imbalances in gut bacteria and leaky gut syndrome likely factor in as well. Another potential culprit is FOMAPs (fermentable oligosaccharides, disaccharides, monosaccharides and polyols), carbohydrates that are abundant in wheat, barley, and rye as well as milk and a number of fruits and vegetables. Bloating, cramping, and diarrhea often improve with a low-FOMAPs diet—which obviously excludes gluten-rich foods. Gluten is most often consumed in bread, pasta, and flour-based snacks and desserts: high-glycemic, calorie-dense foods can cause blood sugar swings, food cravings, weight gain, lipid abnormalities, and other aspects of metabolic syndrome. By eliminating these foods and replacing them with healthier options, you’ll feel better whether you’re sensitive to gluten or not. Gluten-free is today’s hottest food trend. Products once relegated to small sections in health food stores now line the shelves of supermarkets, and surveys suggest that nearly one in four Americans have tried a gluten-free diet. Contrary to the claims of true believers, gluten isn’t bad for everyone, and giving it up is no guarantee of weight loss and boundless energy. A gluten-free diet can be very healthy—or loaded with calorie-dense, sweetened, highly processed products. Junk food is junk food, whether it’s gluten-free or not. On the other hand, most of the criticisms leveled against this dietary approach are just plain absurd. It’s true that whole grains are linked with reduced risk of heart disease, diabetes, cancer, and other chronic diseases—but so are fish, vegetables, fruits, and many other foods. Grains are by no stretch of the imagination an essential component of a healthy diet. The abundance of gluten-free products is a blessing, especially for patients with celiac disease who need to avoid all traces of gluten. Increased awareness has also helped many people understand the importance of identifying and eliminating problematic foods. 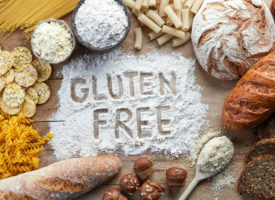 However, the gluten craze has also made non-celiac gluten sensitivity easier to dismiss—especially by doctors who view diet therapy as unworthy of serious consideration. Diet changes are a cornerstone therapy at Whitaker Wellness. Most of our Back to Health Program patients are advised to cut out sugar, grains, and flour-based foods and eat more lean protein, vegetables, eggs, healthy fats and oils, plus a little fruit. This inexpensive diet treatment not only eliminates gluten but also other common triggers, FOMAPs, high-glycemic carbohydrates, and excessive calories. Patients with a wide range of symptoms and diagnoses—from obesity and diabetes to autoimmune diseases and irritable bowel syndrome—do quite well on this diet. R.N., who suffered with gastrointestinal problems for as long as she can remember, had rapid relief from stomach distention, cramping, and nausea. She also reports feeling “mentally sharper and less foggy.” Ninety percent of Jess’s rheumatoid arthritis symptoms resolved after starting on this diet. William lost most of his belly fat, and Bill’s blood sugar control improved to the point he was able to discontinue his medications. I’m not promising that a gluten-free diet works for everyone. But a healthy diet like the one recommend at Whitaker Wellness is a giant step on the road to optimal health. Why not give it a try? An elimination diet, cutting out all gluten for at least a week, then reintroducing it, is the best way to figure out if you have gluten sensitivity. If you feel you may have celiac disease or a wheat allergy, talk to you doctor about testing. Finally, be aware that gluten is “hidden” in many common foods. To learn more, visit celiac.org.